Blushing - Is There A Cure? 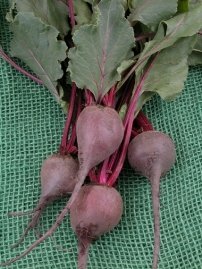 Blushing beet red in front of someone. Ack! How embarassing! You feel so horrible afterwards. You just want to crawl under a rock and never come out again. So what do you do? Probably just about everyone has gone through an experience like this but for a lot of people it’s far worse than that. The fear of blushing in front of others can cause panic attacks or you may become so stressed about it that you start avoiding any situations where it might happen like going out with friends or co-workers. You might also become so embarrassed by how often it happens at work, you even quit your job. So, what’s the answer to blushing and is there a blushing cure? 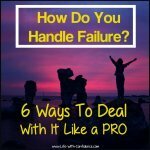 I decided to contact an expert and get his advice on some of the best ways to handle this issue. His name is Stuart Blanksby and he’s from Facial Blushing Solved. He was a sufferer of blushing himself for many years and now says he's cured and can also help others do the same. LWC: Hi Stuart, Welcome to Life With Confidence. Thanks for joining me today. Blushing too much is a huge problem for so many people. I really appreciate you spending the time to provide some of the answers I know blushers are looking for. Stuart: Thanks for inviting me to speak to you. Severe blushing is a problem that can ruin lives and yet you can find it difficult to find answers to the questions you have such as why is this happening to me? There are thousands of sufferers out there looking for these answers and what is worse is that each sufferer thinks that they are on their own. I certainly did. I found it difficult to open up to my family about it as I thought they would laugh. I just wanted to be on my own all the time and it made me really unhappy. LWC: Probably one thing we should mention before we go too much further is that there can be medical reasons for blushing too much. So, it’s important to figure out whether your blushing is triggered by certain mental or emotional situations you experience or if it’s due to some kind of medical condition. But, for our conversation let’s assume that it’s not due to anything medical. Stuart: There are all sorts of reasons behind the causes of one's blushing. There can be medical reasons that set it off at any given point such as an overactive sympathetic nervous system. This is basically what controls the size of the blood vessels in your face. There are confidence and self esteem issues that can set blushing off too. The general fear of being judged is another big cause, if you feel that you’re being watched and you’re thinking to yourself that the person watching is judging you in some way. There are no easy diagnosing tools that I know of but to get the best idea as to the reason behind your blushing you need to pinpoint the times that it happens and note how you're feeling at that point. Such as, "It happens when I talk to girls" or "It happens when I’m surrounded by people and I feel they're watching me" or "It happens when I meet people and I feel like they're better than me". There are several factors that can contribute to setting it off, you just need to be clear as to your triggers. Blushing is usually the physical reaction to an emotional response that gets triggered by self conscious thoughts. LWC: Well, first, maybe I’ll give you a little background on the experience I used to have with blushing too much. It was horrible. I’d blush all the time at anything and everything. Also, I found that I could be having a totally normal conversation with someone and I would start blushing. This would totally stress me out and embarrass me because then I’d start imagining what I was sure the person was now thinking about me. Maybe they now believed that I was thinking inappropriate thoughts or hadn’t been paying attention to the conversation. Then, I would blush even more. It was so terribly embarrassing. Well, more than that even, to me it was a blushing nightmare. Or, I could even be standing in a grocery line not even talking to anyone else, and the blushing would start. I just wanted to crawl under a rock. I had absolutely no idea what I could do about it. It got so bad that I didn’t want to leave my house anymore because I was so afraid of blushing. So, maybe let’s start with that, what do you recommend doing while the intense blushing is actually taking place? How do you stop it in its tracks? Stuart: If you know when it's about to start then you could try the “opposite effect”. This is where you say to yourself, “Right, I’m going to go as red as I can. I’m going to the reddest I've ever been.” Trying to make yourself blush in fact has the opposite effect and you do not actually blush at all. If it's already happening then concentrate on your breathing and take big, deep breaths to calm down. Panicking will only make things worse and attract more attention to yourself. LWC: That's great advice. That’s so interesting though that if you try to blush you can’t and if you try to avoid or lessen the blushing, it makes it worse. It’s the opposite of what you’d first think. Do you think some of the blushing is caused because it happened to us before so we’re terrified that it’s going to happen again? That by focusing on our fear of blushing, we almost in a sense do make it happen? You know, when you think about going to a social event or a job interview, all you can think about is that horror of blushing in front of people? Stuart: The fear of blushing can indeed set it off because you're having the self conscious thoughts that are triggering it. You need to think differently and be positive about your blushing and say to yourself, "If I blush, so what! Blushing is cool!" LWC: You're right. It is all about how we think about it. "Blushing is cool." I like that. Another thing I discovered about blushing was that some of my issues were because I'd start imagining what people were thinking about me. I was so shy and unsure about myself and I really wanted these people to like and respect me and here I was blushing like an idiot. First, I’d be thinking that whatever I’d just said was stupid and be embarrassed because of that which might cause the blushing and secondly, I’d already begun worrying that they’d already lost respect for me. I’d be imagining all these horrible things that I was sure they were now thinking about me. I’d totally lose track of what I was trying to say or explain because my brain was now distressed by how badly I was coming across. Things just went downhill quickly. I’d also replay the situation over and over in my head later angry at myself for blushing. So, do you think sometimes if we could just reign in our imaginations we’d make it a lot easier? Or at least stop criticizing ourselves all the time? It’s really that embarrassment from thinking that you’re looking like a fool that causes the worst blushes isn’t it? Stuart: If you're feeling embarrassed in a situation then it is difficult to regain control of yourself. Blushing is a normal reaction to embarrassment and we all experience it at some point in our lives, blushing becomes a problem when your confidence and self esteem are attached to it. If you have a low regard of yourself then you will be putting yourself in that embarrassing situation and of course set off the blushing. Definitely stop being critical of yourself, you need to be positive and say things like “I am a great person and these people should feel honored to know me”. LWC: Do you think some of the issues of blushing too easily are caused because we’re trying so hard to gain other people’s approval? Stuart: Yes. If you have a low opinion of yourself then you'll be thinking that the person you're talking to won’t like you so you need to try harder, but you can get into a vicious circle where you keep thinking they don’t like you which lowers your self esteem even more and you get stressed with yourself making you blush. LWC: Something else I went through was that I found that my fear of blushing was actually causing my whole body language to change which I think made situations even worse. You know, you look like you want to just get out of there, or you get defensive, or you might even feel annoyed or angry at the people looking at you because you’re feeling frustrated. Or I’d just shut down as I didn’t want to talk to anyone in case it happened. My guess is that this can make it awkward for those speaking to you at the time. They see you’re feeling bad, they don’t really know what to do, so they tease you to try and lighten the situation or to let you know that it’s okay. But, it seems to have the opposite effect. You take it the wrong way. Or because you look so defensive and tense, they think you don’t want to have a conversation with them. I was isolating myself and I didn’t see that some of it was caused by my own body language. You’re really only focusing on yourself instead of the other person. Did you find this too? Do you think by not accepting ourselves as we are, that we encourage people to tease us? Or maybe they do start to think less of us simply because they can see that we don’t think much of ourselves? What do you think? Stuart: I would tend to very quiet around people and not say too much. I would try to keep myself away from the crowd if possible. My issues were down to confidence and self esteem. I wouldn't want to get to know other people for fear of them not wanting anything to do with me. The teasing can be awful that you get from people, even those that love you, so what I used to do at that point was to think that I'm better than you and the last laugh is on me. If there is one thing I've found during my journey, it's to just relax and be yourself. If you're relaxed and not punishing yourself all the time then you'll not get yourself in these embarrassing situations as often. LWC: What do you think about making a joke or using some kind of humor to make the situation less awkward? Or do you think it would be best to just ignore it completely? Stuart: When you're in one of those embarrassing situations, there's nothing that I found at least, that made me feel any better. I couldn’t just laugh it off as I was usually really angry at myself for getting into one of those situations again. LWC: If you think about it, when you see someone else blushing you don’t think less of them. Lots of times you even think it’s kind of endearing. But, when it happens to you, it feels so embarrassing. It’s like we accept it in others but not ourselves. Also, I think we tend to think it’s a lot worse than it really is. Even when it’s just a subtle change in color, we think it’s beet red which actually causes it to go beet red because we suddenly tense up and start focusing on the blushing instead of the person we’re speaking with. So, we’re making it worse by wishing it would go away. When if we just accepted it, it would probably disappear fairly quickly. So, do you think if we were able to remind ourselves to relax and not worry so much about it, that would help? Stuart: I would say from an ex sufferer's point of view it depends on the circumstances surrounding the person you saw blushing. For example, if I saw someone that was put in an embarrassing position then I would feel sorry for that person and maybe even blush myself as I'd know what that person was feeling, but if I saw a nice, young lady blush as our eyes met then I would smile as I would find that to be cute. LWC: Something else to consider might be the fact that we don’t know what other people are thinking about us. We think people are saying to themselves that we’re idiots for blushing when we don’t know that. We’re just putting thoughts in their heads really. They might not even have noticed our blushing. Most likely, they don’t even care. So, maybe something also to consider is just listening to what thoughts you’re telling yourself. Are you always putting yourself down, are you always telling yourself how you shouldn’t have said or done something? Those aren’t helpful thoughts and make the situation much worse. So, instead if we just took a step back and pulled our thoughts back to what we want to do or say, we wouldn’t get so stuck in these uncomfortable situations. Did you find that your thoughts changed once you got control of the blushing? Stuart: Absolutely. One thing to add here is, do you know that other people can see you blush? Have you seen yourself in the mirror when you blush? You may be worrying over nothing if you don’t go as red as you think. My thought patterns went from “I'm no good at anything" and "Why would anyone like me?" to not worrying at all what anyone thought as life is too short! You need a positive outlook in all that you do in order to show the world you are a great person and as soon as you start thinking like that your blushing problems will be over. LWC: One tip you do mention in your book, “Blushing Secrets” is to develop a hobby you like. Do you think that’s a key part to curing blushing, focusing on something you want to do instead of letting it stop you? That might go towards creating the positive outlook you just mentioned as well. Stuart: Absolutely. If you take part in something you’re good at then people will look up to you and want to know your secrets and that will really give you a boost. This will also take your mind away from all the negative thoughts you have. LWC: Do you think you need to work on your self esteem first to stop the blushing or do you think if you control the blushing, that will raise your self esteem? Maybe they both happen at the same time? Stuart: The first thing to do is to find the triggers that set off your blushing so you know where to concentrate your efforts. If self esteem is the main issue then concentrate on increasing that and as you do you will feel more positive and the blushing will not happen as often until you're feeling great about yourself and the blushing will have stopped altogether. All that is then required is to stay happy! LWC: Luckily for me, once I started paying more attention to my thoughts and also just being more comfortable in my own skin, my blushing seems to have mostly gone away. It still happens occasionally and when it does I just either ignore it or just accept it and don’t try to stop it. But, I know at the time when it was so incredibly bad, I wanted to know if there was surgery that could remove all the blood vessels in my face. I would have done anything to stop it. Have you ever tried anything like blushing hypnotherapy or hypnosis? What about blushing crèmes or gels? Or I’ve even heard that some people will even try using clonindine for blushing. 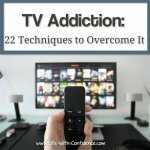 Any success with any of those things? Stuart: I've tried a few creams that work well that include Hemorrhoid cream as this is meant for redness reduction. I never tried self hypnosis as I didn’t think I could do it. I considered surgery too but didn’t fancy the risk of possibly causing hyperhydrosis (excessive sweating) as a result. What is important to mention here is that creams or gels are only seen as a temporary solution to the problem and you need to take a journey deep within yourself to find the real cause of your blushing and concentrate your efforts on sorting that. LWC: I guess when you’re dealing with a blushing problem, you just want a quick fix. You want to take a pill or something that will stop it from ever happening again. But, really, it would be far better to deal with the emotions and thoughts behind the blushing. You're right in that really the strongest way to control excessive blushing is to find the cause and work through that. LWC: I think a turning point for me was when I realized blushing in front of people wasn’t as big of a deal as I was making it out to be. Also, it’s okay to say stupid things every once in awhile. Everyone does. That I don’t have to be perfect all the time. I took a lot of pressure off myself when I made the decision that if blushed in front of people, I wouldn’t make a big deal out of it. The interesting thing was that once I made that decision, then every time it did happen, it bothered me a little less. And, because it bothered me less, it seemed to happen less often. So, it seemed to stop happening as much just because I knew I could handle it if it happened and I stopped worrying so much about it. Stuart: Same for me too. Once I started building my confidence again I would say things like “I am a confident guy now. I don’t care if I blush”. It took me quite a while to get over the problem though but I kept building confidence and saw a better me in the mirror each morning and that made me feel good. LWC: Do you know any good blushing forums that you recommend for people? Stuart: www.uncommonforum.com for sure. There is one post about blushing on there that’s been read over 270,000 times! That shows you that you’re not on your own in your suffering! LWC: Well, thank you so much Stuart. You’ve provided some really great advice here. All things people can use right away to help them with blushing. Also, I appreciate that you’re providing a free copy of your report called "Blushing Secrets” which provides tips and tricks to stop blushing. Stuart: I'd like to thank you again for listening to what I had to say and would like to wish all the people who still suffer with blushing the best of luck in their journeys, they're not alone and I will help if I can in any way. I know the information out there is minimal which is why I wanted to help other sufferers out and provide them with it along with a person who they feel they can trust and help them in their hour of need. LWC: What’s the best way for people to contact you if they have any blushing questions? Stuart: I'm available on my email at stuart@ facialblushingsolved.com (remove the space) if anyone needs a little assistance or a push in the right direction. LWC: That's fantastic. Thank you so much. It's great to know that if you're a blusher, you're not alone and there are things you can do and people willing to help. Very nice to know. Thanks again, Stuart. Blushing too easily can be caused from desperately wanting approval from others. 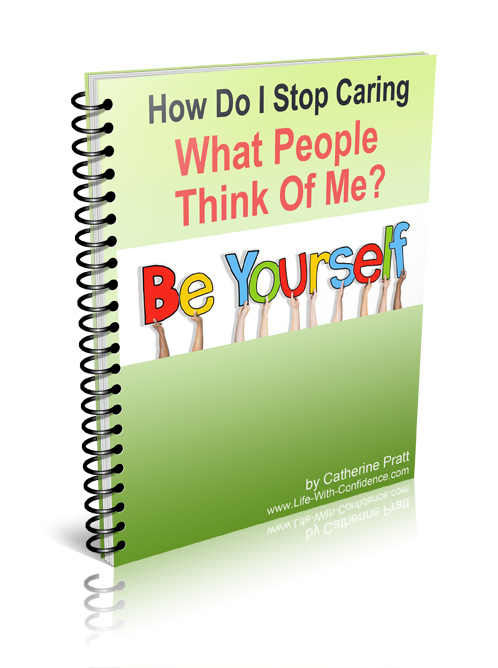 Discover how to stop approval seeking with "How Do I Stop Caring What People Think Of Me?"